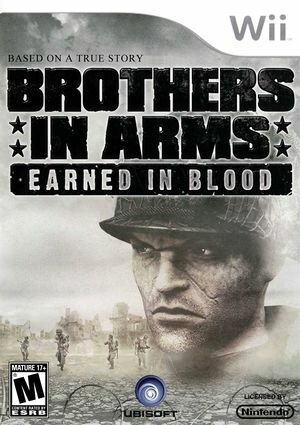 Brothers in Arms: Earned In Blood is one of the most incredible World War II shooters around. Meet the men of the 101st Airborne and Sgt. Joe "Red" Hartsock. You'll lead him and his squad of paratroopers through some of the most intense missions of WWII as you fight for the liberation of Normandy. Arm yourself with new weapons like the M3 grease gun, and command new vehicles like the M10 Wolverine Tank Destroyer More challenging and dynamic combat, featuring close-quarter urban environments and a new, next-generation artificial intelligence system. The graph below charts the compatibility with Brothers In Arms: Earned In Blood since Dolphin's 2.0 release, listing revisions only where a compatibility change occurred. This page was last edited on 17 February 2018, at 05:03.